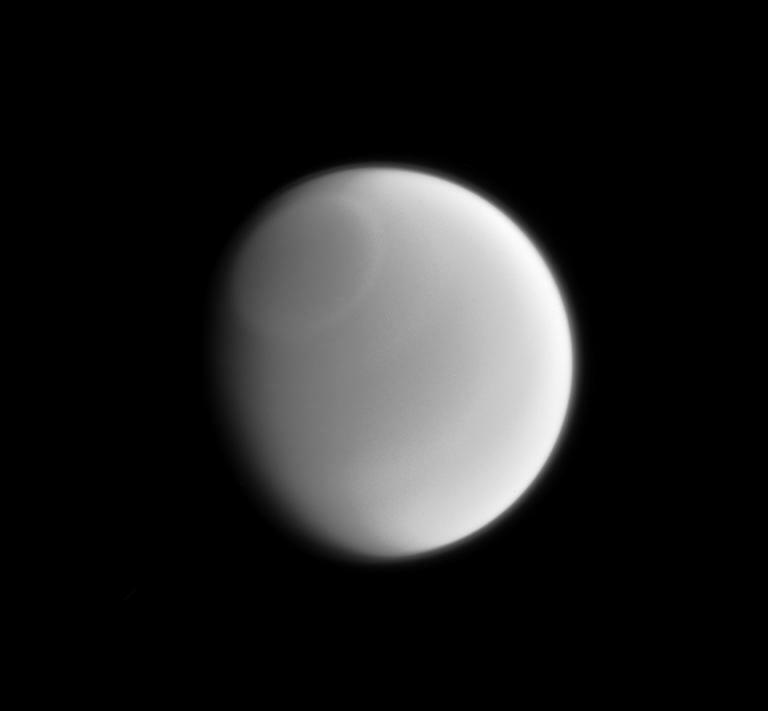 Only a sharp and careful eye can make out the subtle variations in Titan's clouds when viewed in visible light. However, these subtle features sometimes become more readily apparent when imaged at other wavelengths of light. 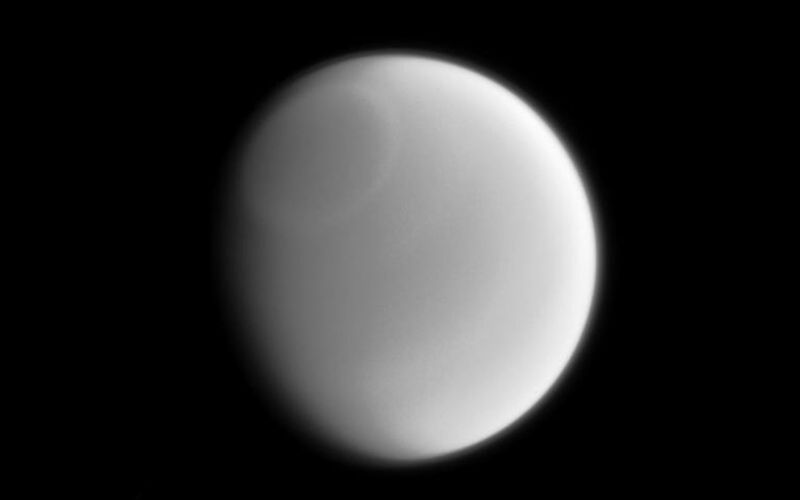 This infrared image clearly reveals a band around the Titan's north pole. Cassini scientists are regularly monitoring Titan, hoping to understand more about Titan's dense atmosphere and clouds. This view looks toward the leading side of Titan. North on Titan is up and rotated 31 degrees to the left. 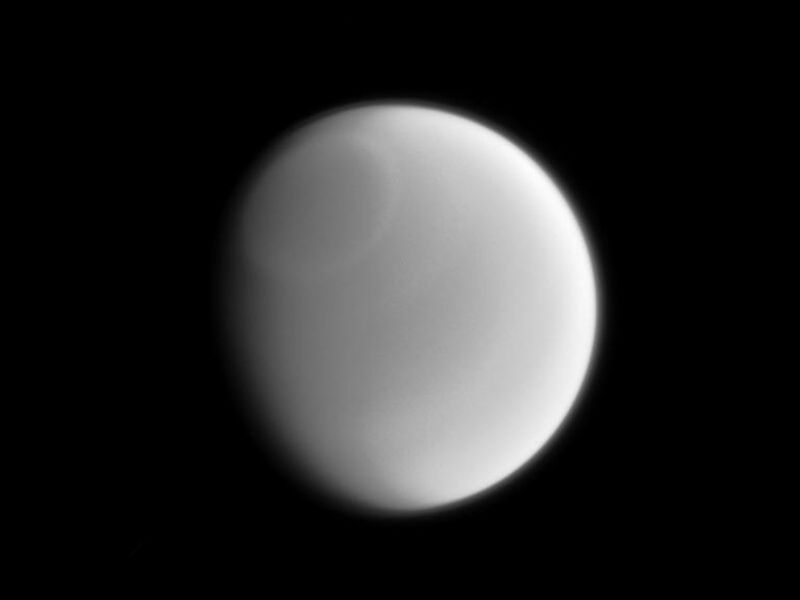 The image was taken with the Cassini spacecraft narrow-angle camera on Jan. 26, 2014 using a spectral filter which preferentially admits wavelengths of near-infrared light centered at 889 nanometers. The view was acquired at a distance of approximately 1.5 million miles (2.4 million kilometers) from Titan. Image scale is 9 miles (14 kilometers) per pixel.